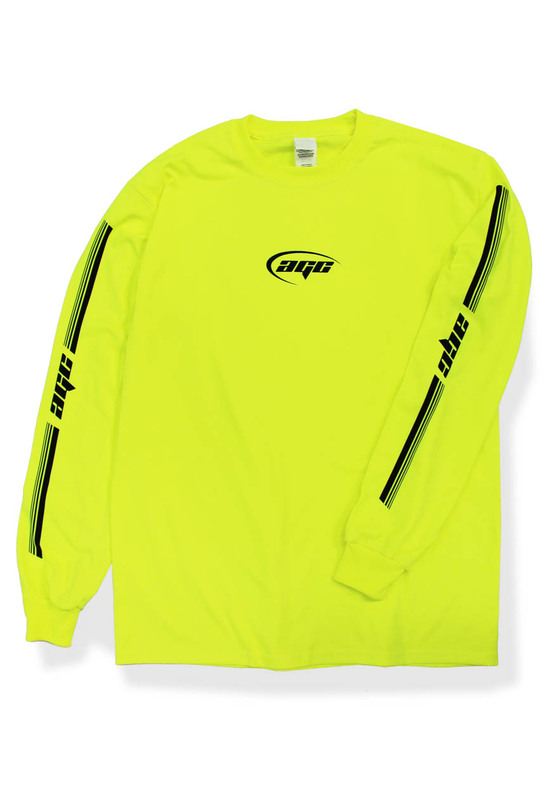 Agora Rave Long Sleeve T Shirt in neon lime yellow . 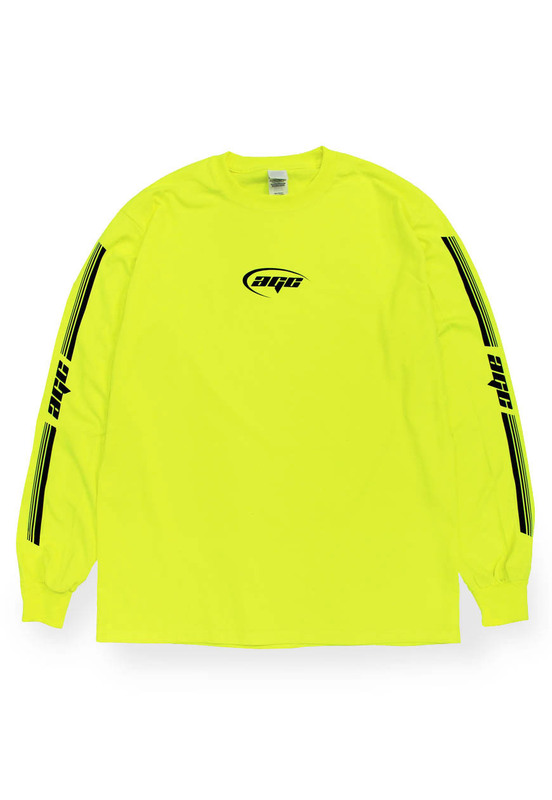 Regular fit ringspun cotton long sleeve fits true to size. Print on chest and arms.